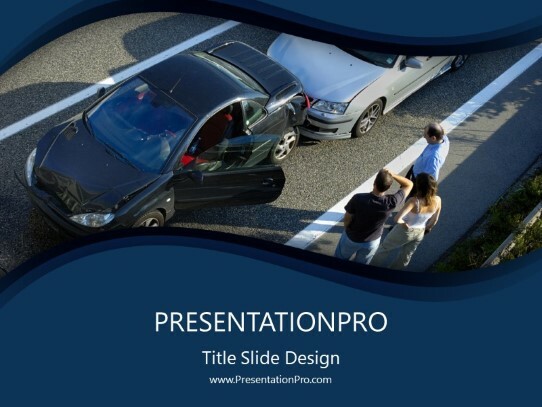 Car Crash PowerPoint template is professionally designed with high-res pictures in the background of the Slide Master. The Car Crash template shows concepts of automotive, automibiles, accident, aftermath, annoyance, auto, bender, blame, bump, car, carelessness, collision, crash, crunch, damage, damaged, discuss, discussion, driver, end, fender, freeway, impact, instant, motor, motorway, people, person, pile, pileup, ram, road, roadside, shunt, smash, tail, talk, traffic, transport, upset, , PowerPoint, Power Point, presentationpro, templates, background, slides, presentations, backgrounds, . This PowerPoint theme contains embedded background photos and images across multiple title and text slide layouts. This template is compatible with PowerPoint 97 / 2000 / XP / 2003 / 2007 / 2010 / 2013 / 365 / 2016 and works on PC and Mac. Learn more about the PowerTemplates Package with over 10,000 PowerPoint templates like this one. The Best PowerPoint Templates are here.